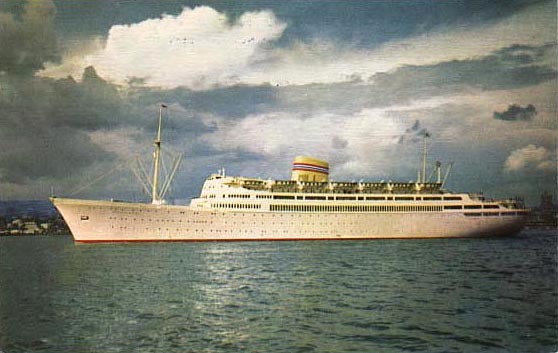 The Bergensfjord (18,739 grt, 578 ft. long) sailed for 15 years from 1956 for the Norwegian America Line. She was sold to the French Line to be the De Grasse for a couple of years. Finally, in 1980 when undergoing refit in Greece for a Greek company, she caught fire and was totally destroyed. This page last updated December 11, 2005.